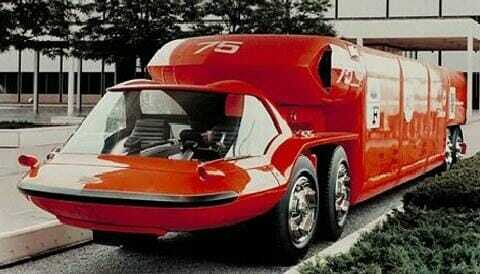 General Motors Bison – a vision of trucks for the future from 1964. Why didn’t it stick? It is always interesting to see how people from the past imagined the future. We are living in that future, but not all of these predictions came out to be accurate. 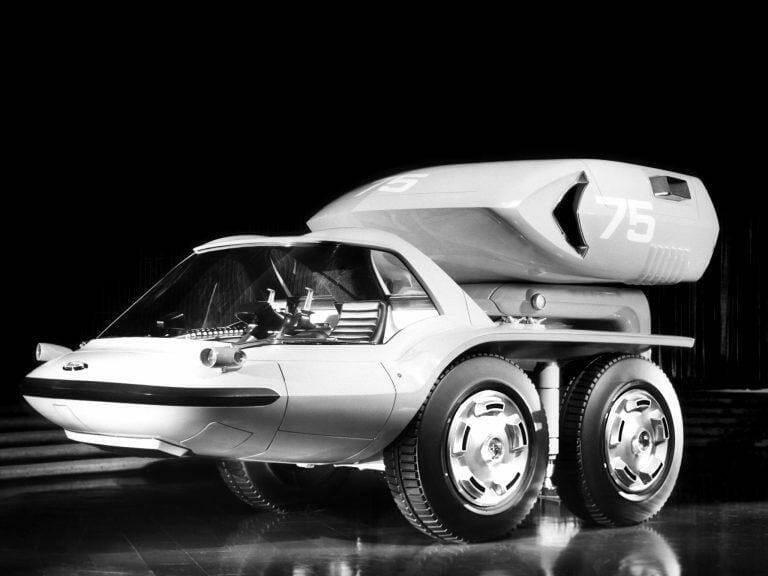 For example, just look at the General Motors Bison concept semi-truck – it still looks like something from the future, despite being created back in 1964. Of course, just by looking at the Bison you can tell that it simply could not drive on today‘s roads. Truck design is limited by a lot of rules and regulations, regarding safety, efficiency and utility, and industry has its own standards. However, Bison did feature some pretty cool design details. General Motors created the Bison for the 1964 World Fair. 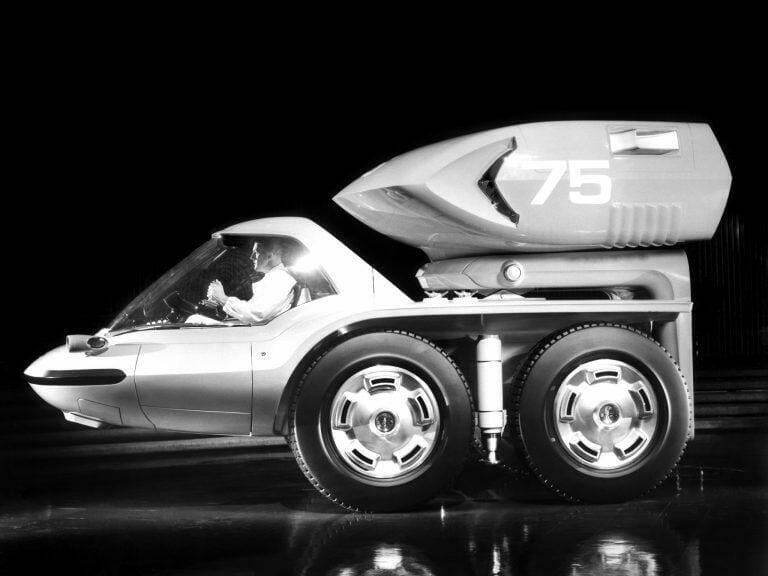 Since it had to be a representation of the future, GM took inspiration from planes and spaceships. Therefore, it featured a low and sleek profile. There were no doors. To get into the Bison you had to open the canopy, which included the entire windscreen. When seated, you would pull a futuristic steering wheel towards yourself. It looked a lot like a yoke of an airplane. In between two vertical handles there was a number of switches. More control levers and buttons were located in the central console, where drivers would have also found a phone. While General Motors said that the Bison is meant for long-distance hauling, it didn’t seem like it is the case, because the cabin had no sleeping room or compartments for personal belongings. 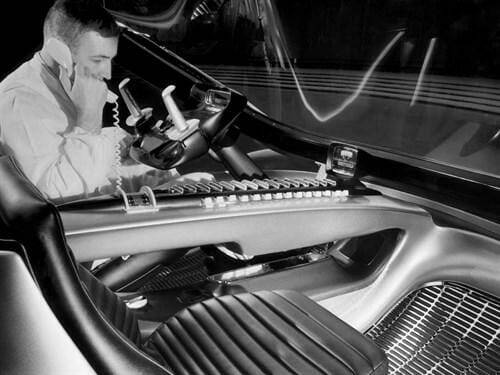 A phone in the central console was a nice touch, but the steering wheel was very cool too. The entire cabin of the Bison was in front of the wheels. It was very low and, seemingly, very aerodynamic. Visibility must have been great too, because glass canopy was pretty big. GM Bison had a four-wheel steering system – wheels of both axis were turning to the same or opposite directions, depending on the steering angle. GM Bison had a four-wheel steering and the entire cabin was situated in front of the wheels. Of course, when you make a truck that looks like that you cannot fit a conventional engine. And so the GM Bison was powered by a couple of turbines, making 280 and 720 hp. General Motors have experimented with turbines since 1953. Although the Bison was just a design concept and could not be driven, GM did make a real driving prototype truck with turbine engines some time later. Bison’s turbines were mounted over the wheels behind the cabin. The trailer was also made specifically for the Bison. The trailer hitch was also not a traditional design, like the trailer itself. General Motors at that time predicted that in the future loading and unloading of trailers will be automatic in the future – cargo modules will simply move in the docks by themselves. And so the trailer, which also had a low profile to match the truck, had hard shell and modular structure. The entire combination did look pretty impressive, but there were never plans for the Bison to reach production. A pod above the axles was housing two turbine engines. For the Bison to work the entire trucking industry would have to change. Spare parts for the turbines, new loading docks, trailer parks and many other things would be needed. General Motors created the Bison as a vision about what the future should look like. And although our current trucks are not like this, the Bison is still a pretty cool design. We just wish we would see it on the road. 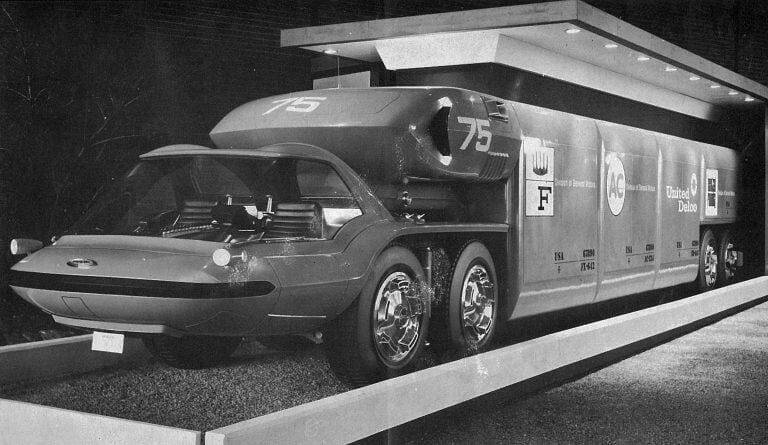 Posted in Technology and ScienceTagged concept cars, General Motors, trucksLeave a Comment on General Motors Bison – a vision of trucks for the future from 1964. Why didn’t it stick?